Pianist Per 'Slim' Notini was an early flag-bearer of Swedish blues. He was greatly influenced by piano legends Memphis Slim and Fats Domino, and in 1967 he travelled to Chicago to play with Magic Sam on his classic ”West Side Soul” album. He was one of Peps Persson's earliest musical cohorts, and years later, in 1975, they made the album ”Blues på svenska” together. He also appeared with blues guitarist Rolf Wikström. He also co-founded Swedish world renowned reissue label Route 66 with Jonas Bernholm and Bengt Weine in 1976, championing rhythm & blues from the 40's and 50's, thereby bringing new and extremely well deserved attention to a largely forgotten kind of music. 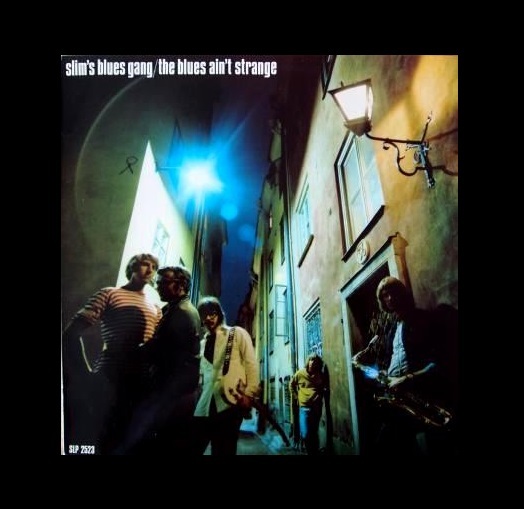 Although founded already in 1962, Slim's Blues Gang didn't make their debut album ”The Blues Ain't Strange” until 1971 which, as it happens, is the gang's only album. Notini may not be a first rate blues vocalist, but he gets the job done. The album is a very credible effort with a tight and solid backing from Rolf Wikström on guitar, Ola Brunkert on drums, Åke Dahlberg on bass, and Christer Eklund and Olle Frankzén on saxes. 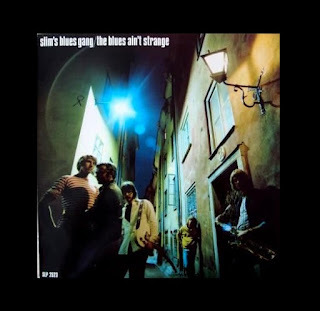 The reworking of Elmore James's ”Stranger Blues” (”I'm a Stranger Here) has some really fine guitar work from Wikström, ”Break It on Down” moves its hips in a suggestive way, ”Gone Father Blues” rolls and tumbles along nicely, and the devil-may-care ”Tow Away Zone” is a hint at Notini's stint with Magic Sam. Very good!